"I am Alpha and Omega, the beginning and the ending, saith the Lord, which is, and which was, and which is to come, the Almighty." 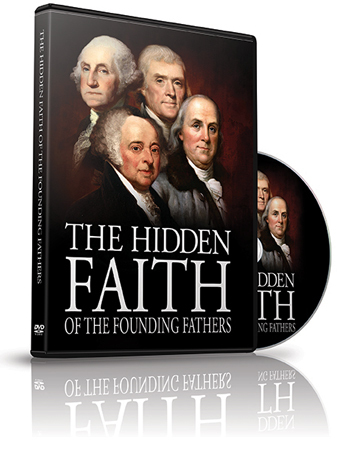 The Hidden Faith of the Founding Fathers is perhaps the first and only documentary to go where no film has ever gone before, confronting the little known beliefs of America’s founders. Conservative Christian leaders often claim that the revolutionaries were godly men who were trying to build a Christian nation. But was their faith the true faith of the Bible? Or is it possible that the exact opposite is true? The real questions are: What did the founders believe about Jesus Christ? Christianity begins with faith in the Person of Christ Himself: what did the founders think of Him? What did they think of the Gospel? Were they fighting for Christianity, or against it? 1) The faith of Thomas Paine – the man who inspired the American Revolution, and the writing of the Declaration of Independence. This film shows how Paine’s influence over the Revolution was critical, while his anti-Christian writings revealed much of what the other founders truly believed. 2) The faith of Thomas Jefferson -- author of the Declaration of Independence. Jefferson said the Book of Revelation was “the ravings of a maniac” and that the teachings of Jesus and the Apostles were full of “imposture” and “stupidity.” After his private papers were published, he was called “the reviler of Christ” by a leading clergyman. 3) The faith of Benjamin Franklin -- the only man to sign all of the original founding documents. Franklin was part of a radical occult group known as “The Hellfire Club” in England that took part in satanic rituals, which may have included human sacrifice. Shortly before he died, he openly stated that he did not believe the Gospel. 5) The faith of George Washington -- known as “the Father of our country.” Three of Washington’s own pastors doubted his faith in Christ. Proof is shown that he went to war, not for Christianity, but for a “universal” system that would embrace all religions. When compelled by the clergy to confess his faith in Christ, Washington refused. 6) Washington & the Jesuits: Generally unknown is the role of Rome and the Jesuit Order in the American Revolution. Powerful historic evidence shows that George Washington worked with Jesuits to prevail against their common enemy, England. This information is ground-breaking and documented beyond any doubt. 7) Bartonian History: we confront David Barton’s fabled view of American history, giving examples (including his appearance on the Glenn Beck program) of how he misquotes the founders to make it appear as if they supported Christianity, when it is provable that they did not. 8) The Question of Freemasonry: Also included is an expose of David Barton’s book on the role of Freemasonry, contending on key points against his assertion that Masonry played no significant role in the founding of the country. 9) Biblical World View: Confronts the idea often suggested that the founders were “deists,” or “agnostics” – whereas, according to the Bible, they were antichrists. 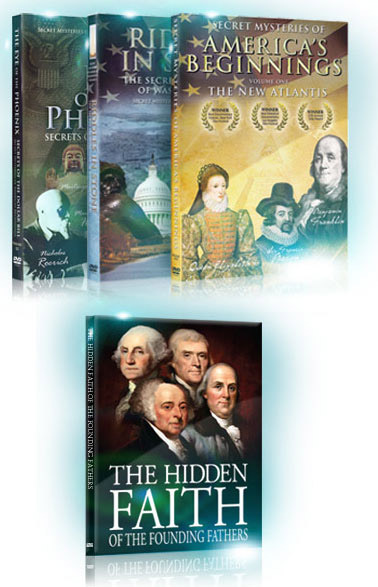 Click on the images below to view TRAILERS from The Hidden Faith of the Founding Fathers. Home | Contact Us | Cart | © 2006-2015 Adullam Films. All rights reserved.